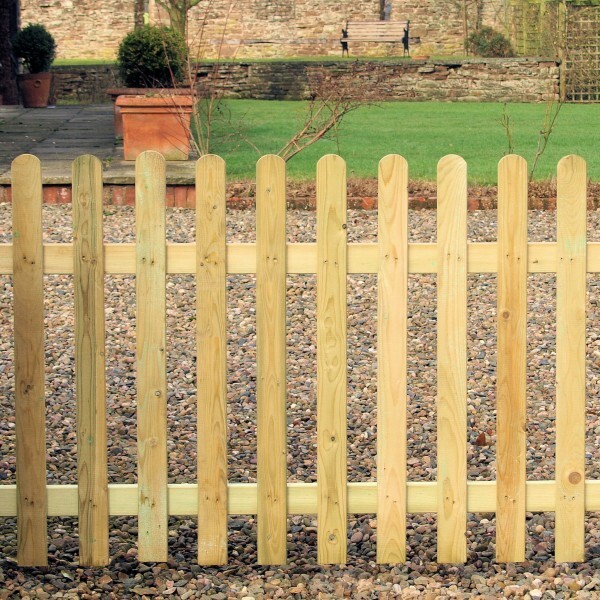 For a simple picket dance design which is functional yet elegant, take a look at the Round Top Palisade. 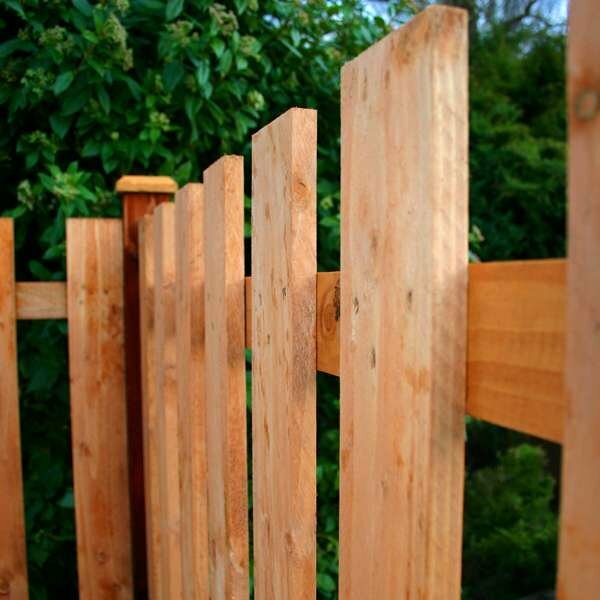 Manufactured by Grange, it delivers premium quality finishes on every slat with an attractive appearance which will complement all types of garden. 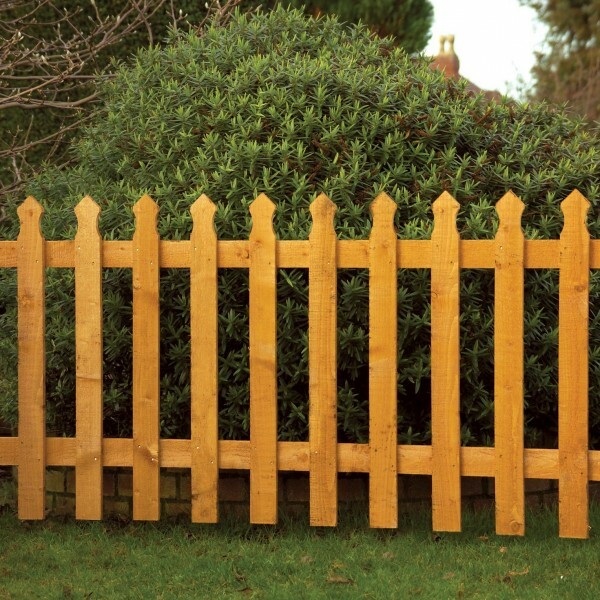 Palisades are an excellent choice for perimeter fencing as they mark out a clear boundary without being too obtrusive. 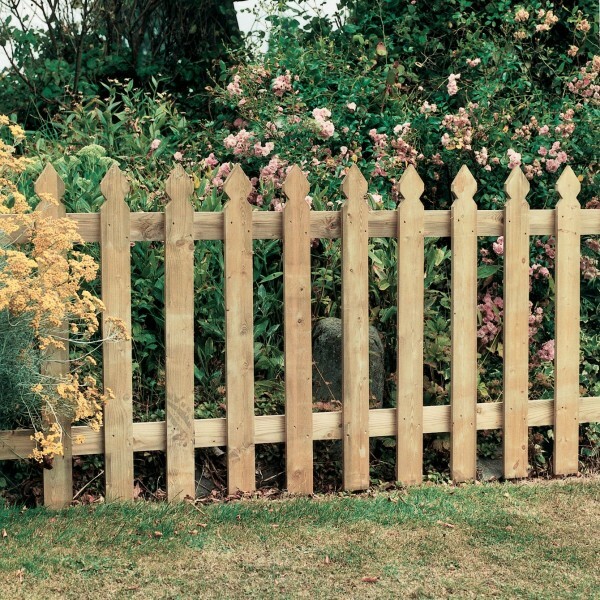 The Round Top Palisade fencing is very appealing, with a gentle charm which is almost rustic in nature. Every panel is 0.9m wide and is available in a choice of two heights: 0.9m and 1.2m. Each of the pales is 6.5cm wide and there are 13 per panel, creating the distinctive palisade look. The gap between each of the pales is relatively narrow at 6.5-7.1cm. On the reverse there are two horizontal support batons which provide extra strength. The finish on each and every palisade is absolutely flawless with a smooth feel courtesy of the planed timber boards. The panels are durable and built to last, with their lifespan enhanced by the pressure treatment. The drives preservative deep into the core of the wood, protecting the timber from the risk of rotting, fungus and decay. To place an order, a minimum purchase of three panels applies. 13 pales per panel at 6.5cm wide. Matching gate & post available. Its durable planed timber construction has been pressure treated to offer protection for longevity of use.